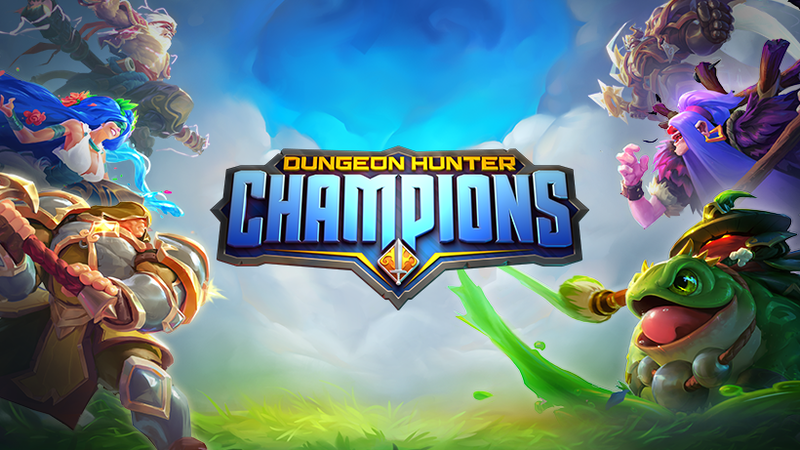 Dungeon Hunter Champions has been in beta testing for a good while, though its official release is almost here. Gameloft has stated many times that it will be available on May 3rd, which is only 1 day away. Luckily it would appear that the game is actually downloadable right now, so if you have been waiting for this release, go ahead and jump on the Play Store and start installing it. I suppose the most exciting thing about this title is how it mashes up two prevalent mobile genres into one supposedly seamless experience. For the most part, I would say it works as intended. The way the campaign and PvP modes are tied together definitely makes sense, but it can be hard to get past all of the convoluted menus and forced grinding, not to mention the questionable monetization. Of course, if you have enjoyed similar games in the past, you should have no issues with this. Like most Gameloft games the graphics in this are phenomenal. I have tested it on both my GS8+ and OP5T, and performance was solid. There are a few dropped frames here or there, but I have to wonder if that has more to do with the constant server connection instead of poor device performance or unoptimized graphics. Either way, it's barely noticeable, so it shouldn't really interfere with your enjoyment unless you demand perfection from your games. You will have to play through the first chapter of the campaign before you gain access to the starting PvP arena mode. Once you unlock it, you will also see that the 5v5 MOBA section and the Guild War mode are also locked behind your campaign progression. So if you thought you could skip straight to the MOBA gameplay, think again, you'd have to grind in the campaign mode up to the 7th mission in the 2nd chapter before you get to any of the fun MOBA gameplay. Once you start digging into the main campaign, you will quickly see that hero combining and collection is a big part of improving your team. This is the norm for many FTP ARPGs on Android, but now that there is also PvP content, the entire system plays even more into this endless grind of slowly improving your champions. And if you thought FTP ARPGs or MOBAs already had convoluted upgrade paths with systems on top of systems that you have to navigate just to make your character a little bit stronger, wait until you get a load of all of the junk in this. It takes 3 button taps just to equip a piece of gear, and that's when you're on the gear equipment screen. It takes 5 taps from the main menu. Now extrapolate that by the many different ways you can upgrade said gear, ascend your characters, combine your characters, train your characters, etc, etc etc, and you'll quickly see that you're going to be spending half your time navigating the UI, instead of, you know, playing the game. The controls are on par with every other Dungeon Hunter release, only with a few MOBA moves thrown in that require some direction from the player when executing them. There is a left virtual thumbstick for controlling your character, and a few virtual attack buttons on the right. The campaign mode allows you to manually control your character, though after a couple of missions you will unlock an autoplay toggle. This means you don't ever have to worry about actually playing through the campaign on your own, as the computer will do it all for you. This decision is perplexing since the first chapter is where we are supposed to be learning the ropes. What is the point of forcing everyone to play through it before unlocking the PvP content when every scenario but the first 2 don't require any input from the player? Then I discovered the PvP content also has an auto-battle toggle, at least for the arena mode. That's right, you can jump into an arena and watch your team of heroes battle it out with some randomly computer-controlled team that belongs to someone else. How exciting. At this point, it became clear that the majority of the game controls more like an idle tapper where you navigate menu upon menu, instead of an ARPG that you actually play. After finally unlocking the 5v5 MOBA section, things started to come together. There is thankfully no auto-battling in this section, so you will have to depend on your skills and wits to survive. The manual controls remain the same as every other mode. So yes, you will be using a virtual thumbstick for movement, which may upset those of you who prefer the tap controls of Vainglory. As a free-to-play game, it's no surprise that Gameloft has chosen to monetize this thing out the wazoo. Its in-app purchases range up to $99.99 per item, which is no surprise. In-game, there are two separate types of currency. Gems are used to purchase the majority of items, and they are of course the more difficult one to earn out of the two. There are also two types of stamina systems. One is for the PvP content, and the other is for the campaign. So no matter which mode you prefer you will have to deal with running out of stamina once things actually get interesting. If you have enjoyed Gameloft's previous Dungeon Hunter games and love digging into hero collectors, there is actually a lot to explore here, even if it's monetized poorly. MOBA fans will also want to give this a look since the 5v5 MOBA gameplay holds up when compared to its many competitors. Of course, you will have to deal with the ARPG content if you want to stay competitive in any of the PvP modes, which may not be to everyone's liking. I suppose that's why the autoplay button exists. I still can't help but feel Dungeon Hunter Champions has spread itself a little too thin. No one mode stands out as anything special. It's just more of the same stuff we have all seen before, all wrapped up into one tidy little package. I suppose that should appeal to quite a few of you out there, even if it doesn't offer anything groundbreaking. So if you're interested, you can grab it from the Play Store a day early by clicking on the widget right below this text.